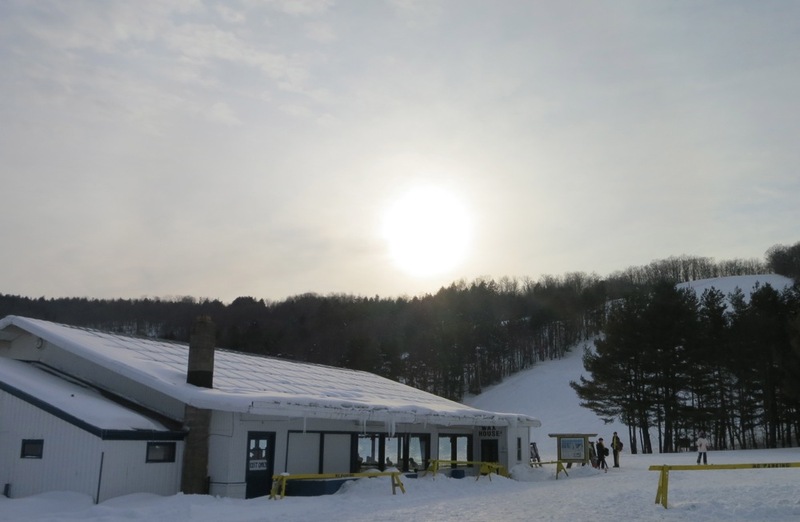 I love the cool smaller ski areas of New York and I want to ski them all. This weekend I got my first day at Snow Ridge Ski Area in Turin; a small mountain gem that skis bigger than expected. My first trip to Tug Hill began at 5:45 am in North River. At first glance, Turin NY didn’t seem that far, but with the frost heaves running rampant this year, the drive took every bit of Google Maps predicted two hours and 15 minutes. As you come through Turin, you can see the wide east-facing trails, North and South Slope, from a distance. 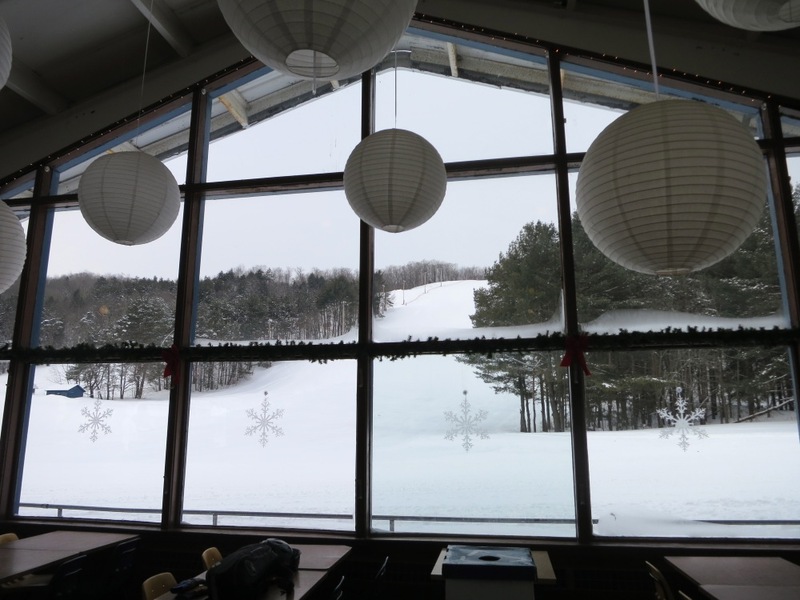 They rise above the surrounding terrain and dominate the view from the lodge. But its what you can’t see that makes the Ridge so much fun. Across the state there hadn’t been much snow in the two weeks since the last rain event. Most mountains had a few inches on top of a crusty layer. Over that same period Snow Ridge had gotten a foot of lake effect, and it made a difference. I had the good fortune to be skiing with a group that really knew their way around. We started with the steepest terrain: The Ravine. 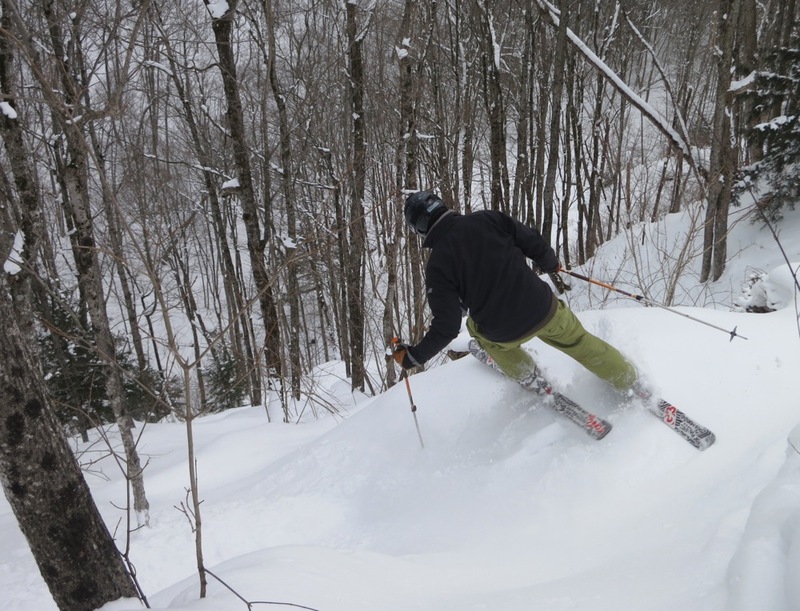 It was bound to be thin on the headwall, and we figured it was best to go first or not at all. I can’t tell you too much about the trails; the only run we skied top-to-bottom was Von Allmen. It was sweet with a ten foot wide swath of pow down both sides. The rest of the day we skied the trees, rode the lifts and hiked for untracked snow. The natural base was close to three feet deep. I didn’t bottom out once all day and it seemed that you could ride over anything and land softly. 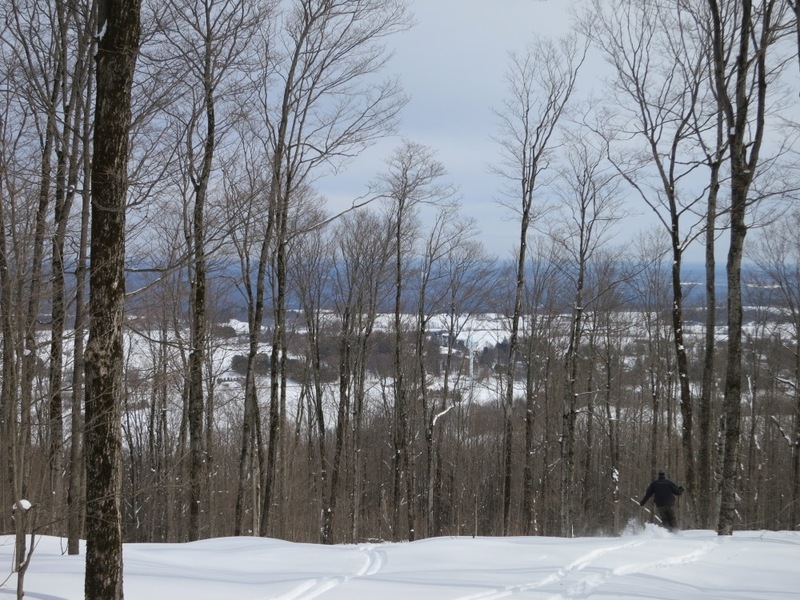 The hill has 500 feet of vertical drop and we were getting most of that untracked run after run after run. The guys I skied with value untracked lines over all and were willing to work for it. Each run we pushed the closest untracked line a little farther from the lift, requiring a slightly longer hike. 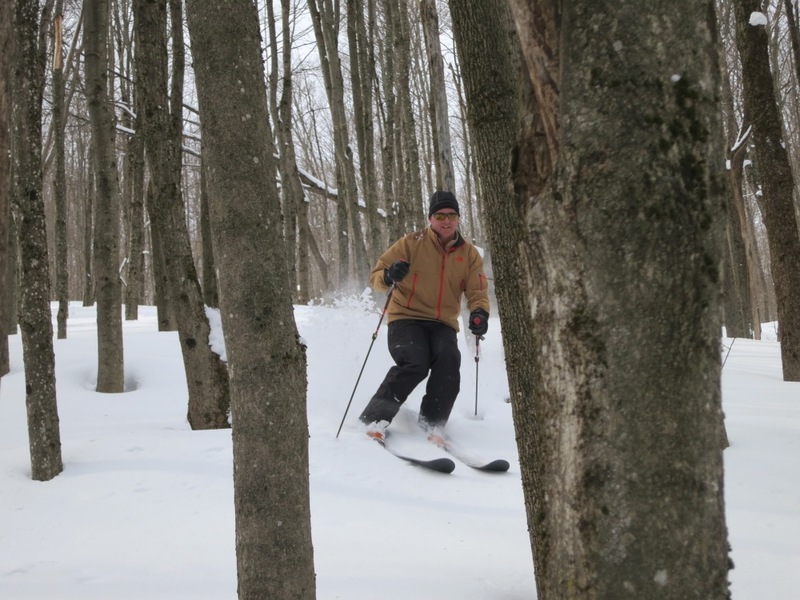 All day long we found wide open lanes through the trees that were a pleasure to ski. By three o’clock we were beat, or at least I was. After one more run, we called it, heading into the restaurant for lunch and beers. Snow Ridge is a gem. Tons of snow, no competition and a variety of pitch from mellow to steep that allows you to suit the size of the dump to the terrain. This is my kind of ski hill. Glad you enjoyed the ditch! It is a cool place, and the price is more than right. Great day on some nice powder with tons of base. Thanks guys and thanks Snow Ridge for the incredible day. Grew up on that hill, now 50, little has changed, lol…. But still count on it for a good day since they always have great snow. I def need to hit this place next year! I’ve always overlooked it but the allure of good snow and minimal people has me dying to get out there. Thanks for the blog.